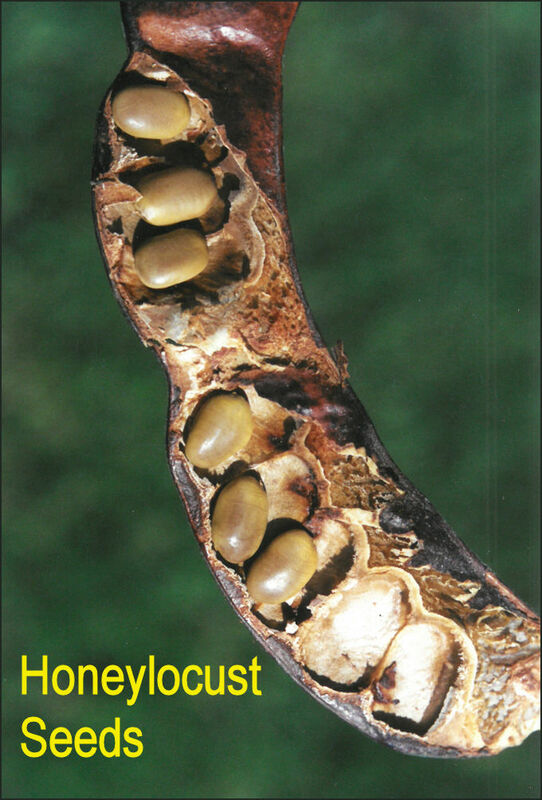 The pea family (sometimes called Leguminosae) is very large, with about 15,000 species world-wide. The family is more concentrated in tropical and sub-tropical regions. About 40 tree species are native to North America, with none native to the U.P. 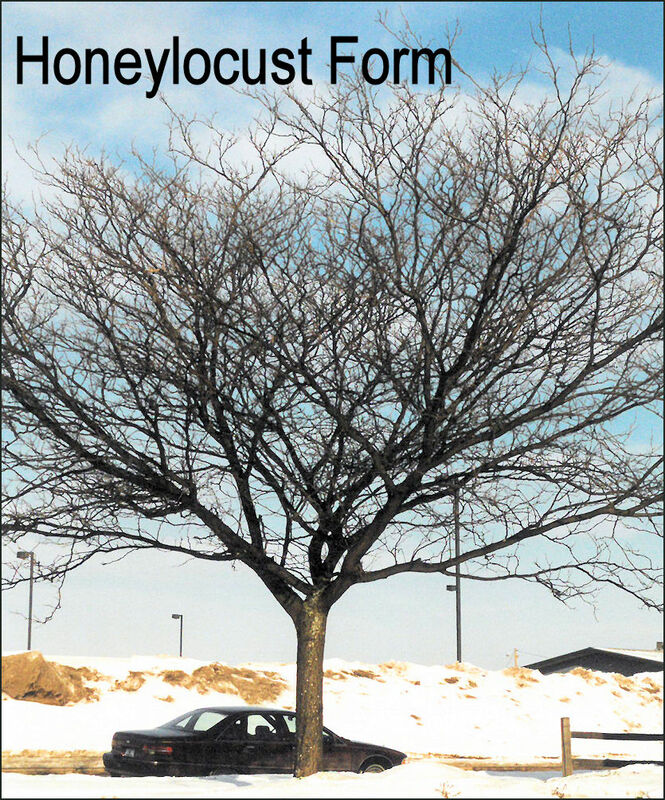 Both black locust and honeylocust have been planted for a number of reasons but are not common. 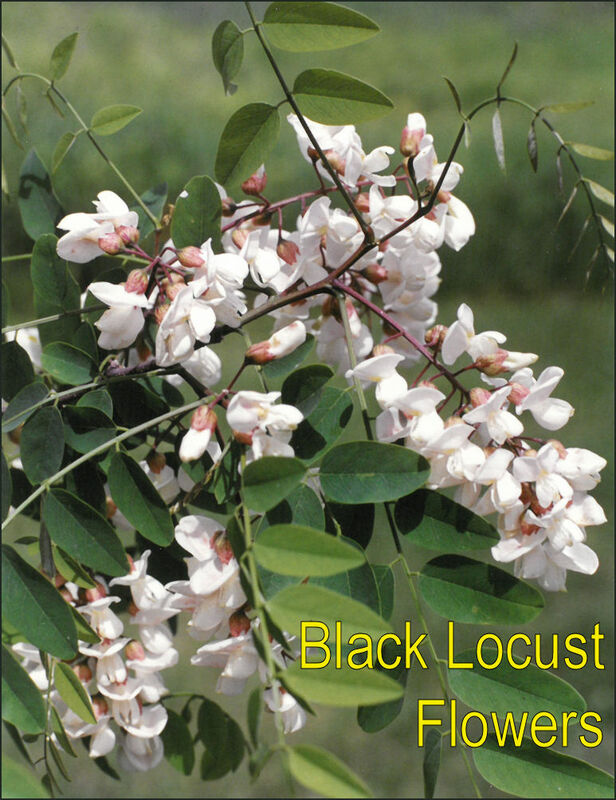 Black locust has become naturalized in a few places. 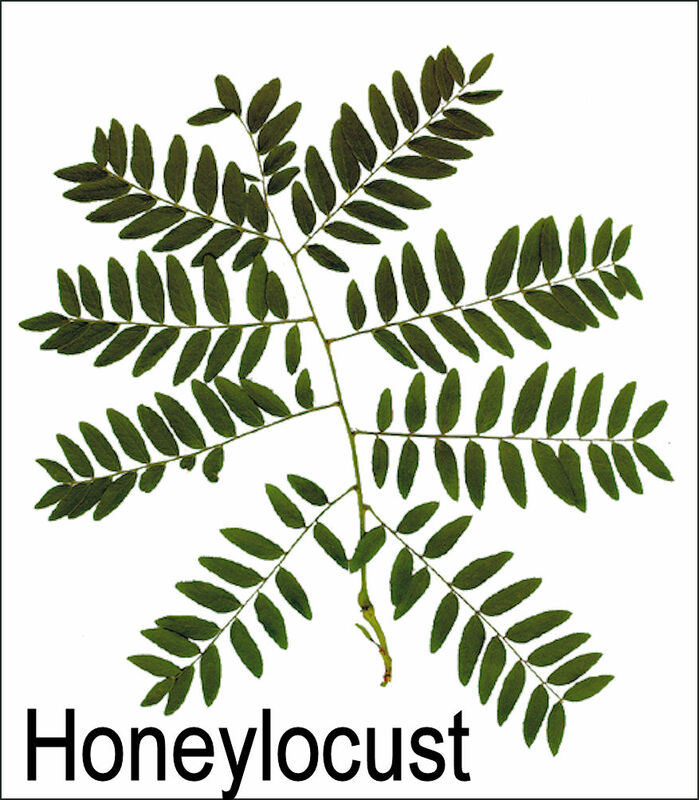 Honeylocust is an ornamental only. Black Locust in a native of the central hardwood region of the United States. It occurs occasionally across the U.P. because it was planted, sometimes for erosion control purposes. It is uncommon. 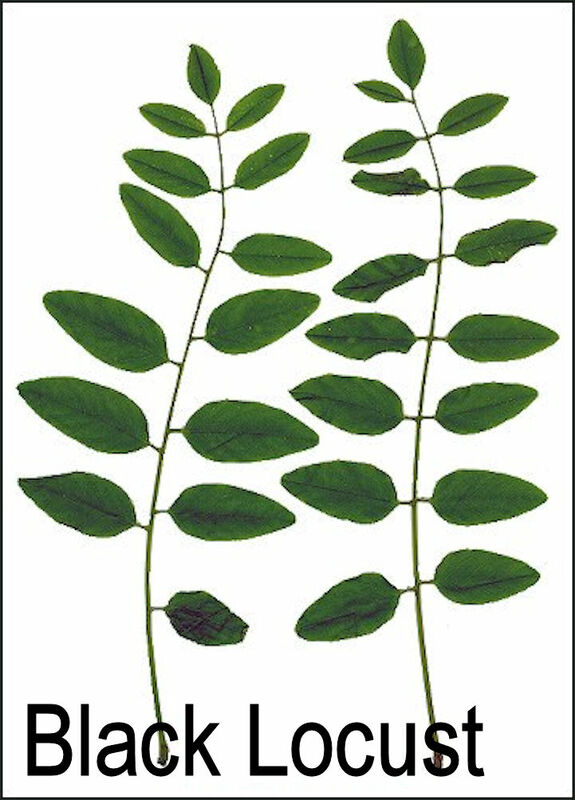 The LEAVES are compound with oval leaflets (under 2") with smooth margins. The white FLOWERS are shaped similar to those of peas. 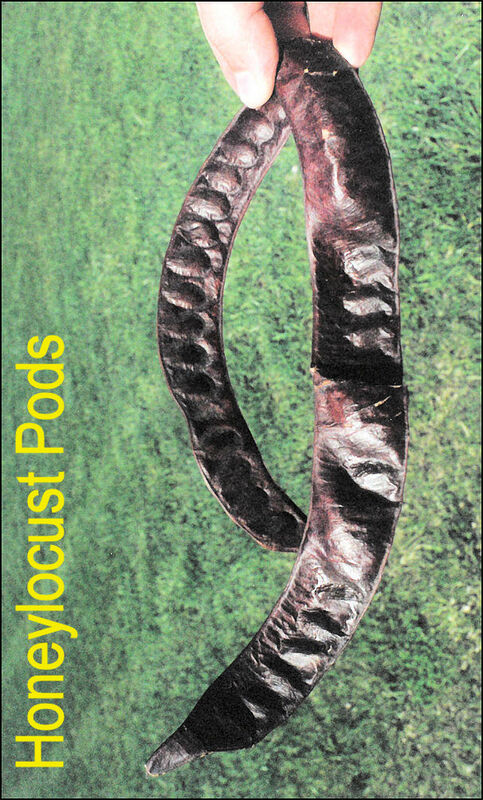 The FRUITS are brown, thin, papery pods 2-4 inches long. 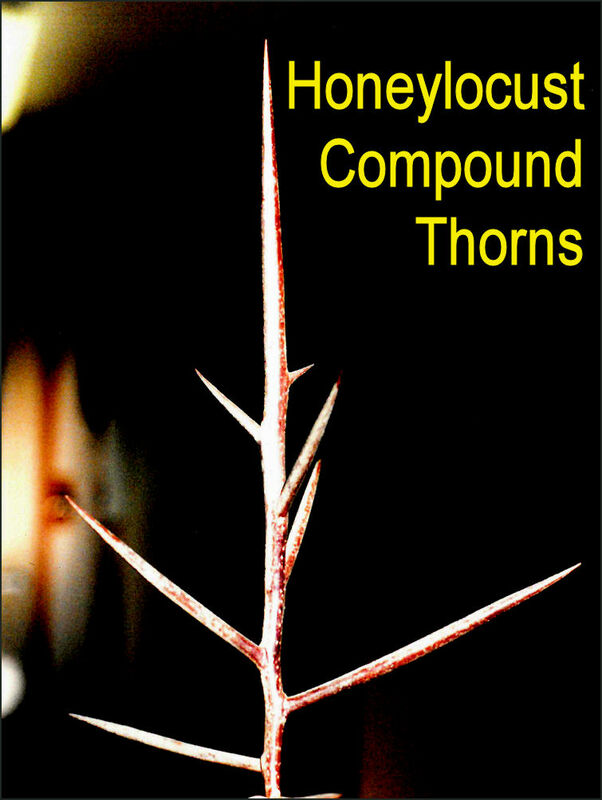 A pair of short, sharp THORNS grow above each leaf scar. The BARK grows in shreddy-looking ridges. The UNDERBARK is yellowish. 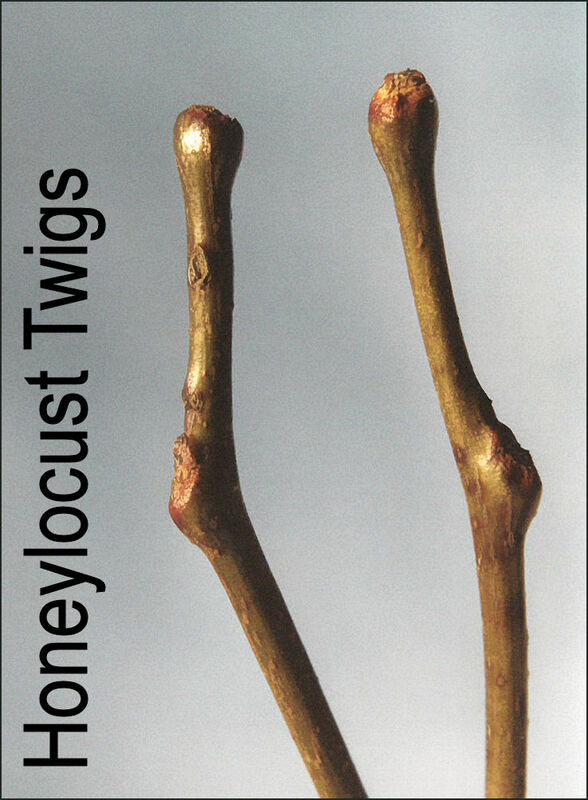 TWIGS are brown with small, stubby, brown buds. 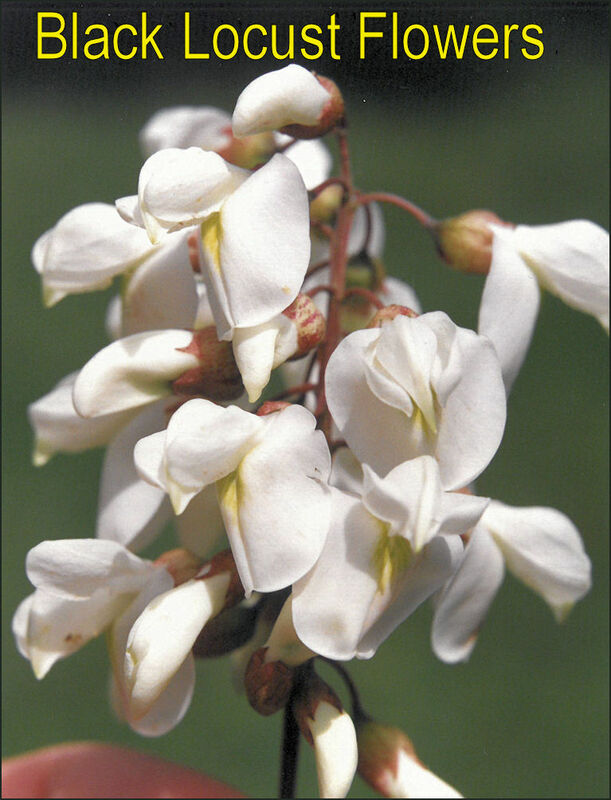 Black locust, when it occurs, usually INHABITS dry places, old fields, and vacant lots. 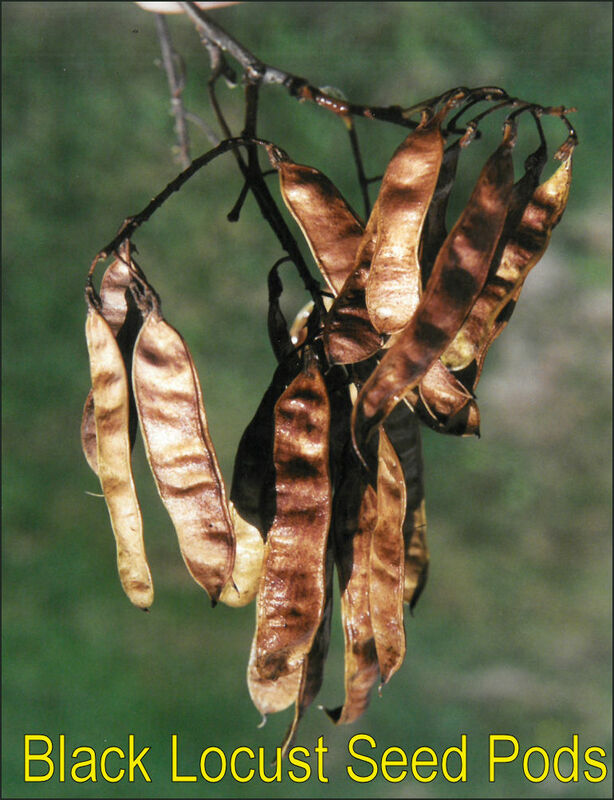 LEAVES of the wild honeylocust are doubly-compound, although many urban varieties lack this feature. The leaflets are are 1-2 inches long with smooth margins. 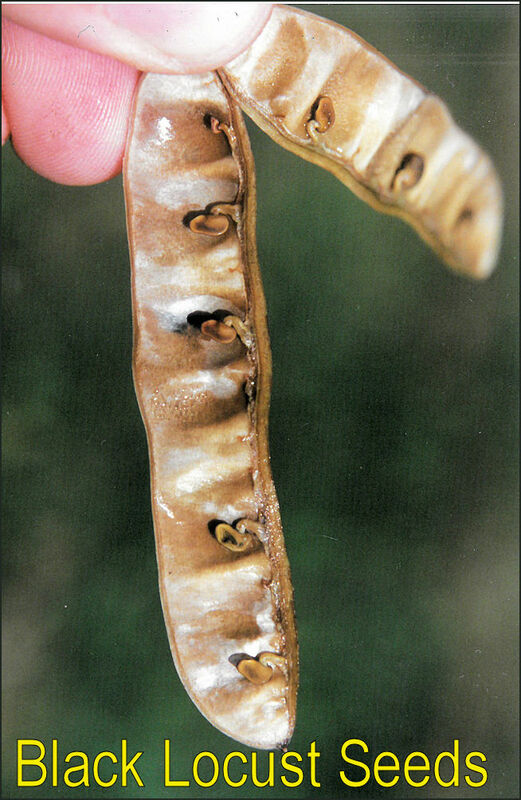 The brown PODS are 7-18 inches long, maybe an inch wide and a quarter-inch thick. 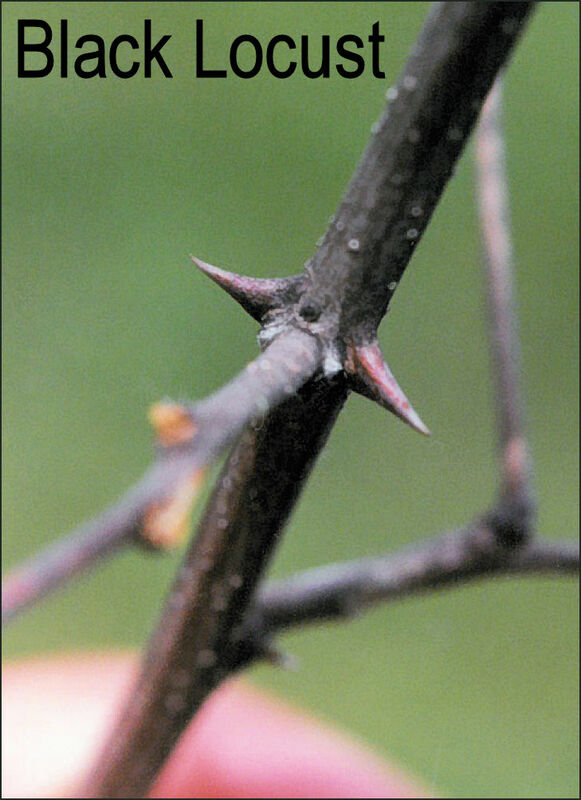 Wild trees have nasty 3-part, branched THORNS up to several inches long. Ornamental trees usually have this feature bred out of them. 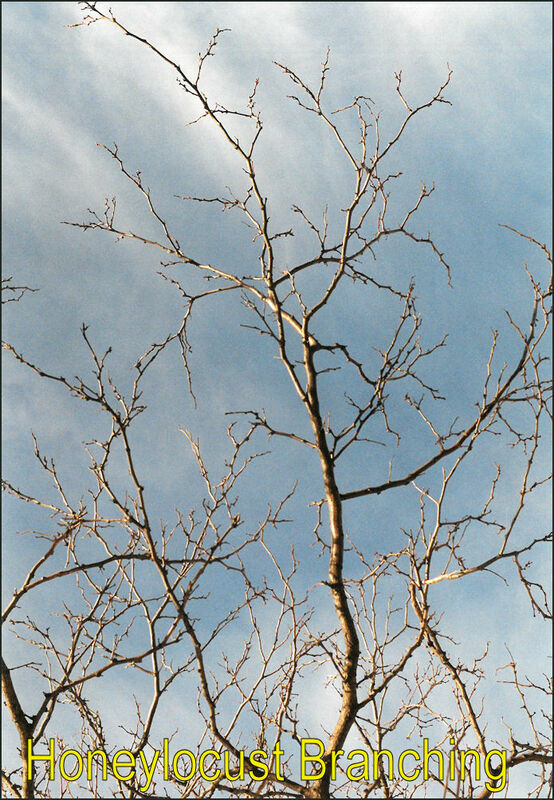 The TWIGS have a distinct zig-zag pattern and no terminal BUDS. 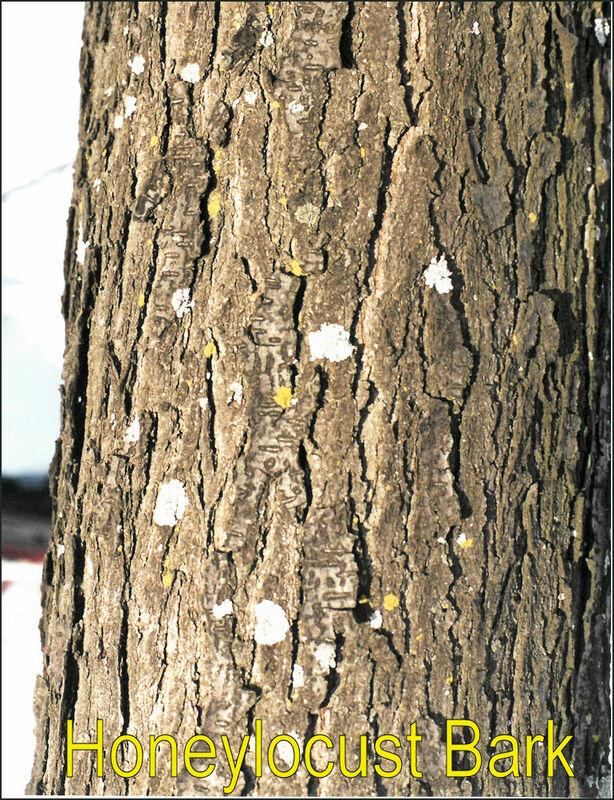 The BARK is a medium to dark gray free of large fissures and ridges, although cracks develop between large plates. These plates usually have small warty growths on them. While not a part of the U.P. forest, honeylocust is fairly common as street and park trees.